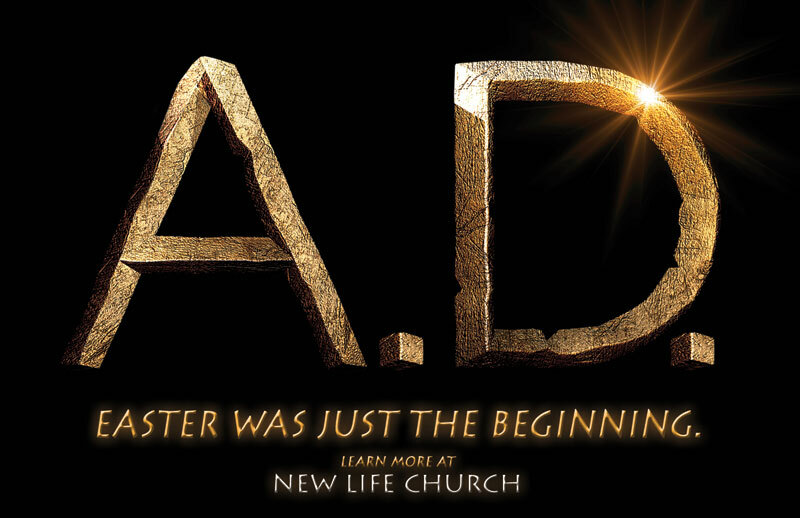 You can free stream the entire first five episodes here: NBC’s free showing of A.D – The Bible Continues. This week’s episode tests Peter. Will he give up the assassin named Boaz to the authorities, or will he risk losing the small faith community he has built to the wrath and retribution of Rome? Peter allows Boaz, the man who killed Pilate’s bodyguard, to live in his camp under the condition that he gives up his desire for a violent overthrow of Roman ruler-ship and instead allows the love of Christ to rule him. Boaz’s betrothed, Eva is approached by Caiaphas’ wife, Leah to give up her husband for the sake of her countrymen, who are being crucified in order to flush Boaz out of hiding. Eva wants to protect her fiance but knows the death of her people are now her responsibility. So she gives Rachel some information. She tells her that Boaz has gone to a place where he can receive forgiveness. When Caiaphas hears this news he heads to Peter’s camp and asks him to turn Boaz over to him. But Peter will not do it. Instead Peter implores Boaz to turn himself in before the Romans come to find him (and likely burn down the camp). Peter tells Boaz he will not turn him in himself because it is God’s will who may live and who may die. Boaz voluntarily turns himself in to Caiaphas’ men and accepts his fate as a martyr for the cause of the Zealots. Pilate and the Romans want a slow public execution by crucifixion to be a warning to any more who would challenge them. But as Boaz suffers on the cross, a man (the leader of the Zealots, named Levi) shoots him through the heart killing him quickly. Levi escapes the Romans who chase after him. When Cornelius, chief guard to Pilate, explains this development to him, Pilate is extremely angry at his loyal servant. Pilate wants any and all who threatened his life to die now. Cornelius offers his apologies and is willing to accept any punishment that Pilate wants to inflict on him. But all Pilate does is dismiss him and tells him to not to show his face to him again. I wonder what Cornelius will do next. Will he try to capture more Zealots to appease Pilate, or will he maybe speak to Peter about the movement? Ultimately Eva decides to join the Zealots to get her revenge on what they did to Boaz. Speaking of Peter, he gets Caiaphas somewhat on his side when Boaz turns himself in. But that quickly changes when Peter speaks the name of Jesus again, after Caiaphas had told him not to. He arrests all the disciples this time. But they are set free by an angel. When they preach again in the name of Jesus, they are brought before the Sanhedrin (Jewish ruling council). But this time an elderly priest named Gamaliel wants to release the disciples. He believes that their movement will fail if it is not from God (he believes it will simply dissolve into nothing). However if the cause of the disciples is for God, it would be best that the Sanhedrin not oppose God’s will. So Caiaphas decides to flog them with whips and let them go. In a really touching scene, Peter admits to his daughter that he can’t go back to Galilee (their hometown) and that she won’t be safe here in Jerusalem, so they decide to part ways. These scenes with Peter and his daughter aren’t in the Bible but they are beautiful and remind us what the disciples are giving up. Stephan, a new disciple is given the task by Peter to take care of the widows in the camp, but Stephan doesn’t believe his years of theological study should be neglected in this way. So Peter comes up with the idea that Stephan shall begin to write down the accounts of Jesus that can then be read and studied by the new followers. However Stephan’s desire for righteousness leads him to confront the temple priests. He accuses them of being unjust by crucifying Jesus and unfairly detaining God’s messengers. They arrest him and pronounce a sentence of stoning on him for defying the council’s authority to measure out punishment as they see fit (and again Stephan reminds them of the foretold destruction of the temple). He is dragged outside the city gate, tied to a post, and then stoned. As he is dying, a zealous student of the priests picks up the last stone and hands it off to the crowd. With the last throw of the stone Stephan dies as the first martyr for Christ. And with this we meet Saul, he was the one holding Stephan’s coat, and he is the one who picked up the last stone. Next week we can expect to see the persecution of Peter’s group (also known as followers of the Way) by Saul who would later become Paul (defender of the faith). Galleries: Check out the galleries page or this one to see the characters in action. There are a lot of characters to track, so it’s worth it to take a look at their faces, names and category groups (Followers of Christ, Temple Authorities, The Romans, Zealots). You can free stream the entire first four episodes here: NBC’s free showing of A.D – The Bible Continues. This week’s focus is on the retribution of Pilate and his need to exercise the might of Rome over the land of Judea and city of Jerusalem. Pilate has completely had it with the “silliness” of the Jews practices and beliefs. Last week one of his guards (bodyguards even) was killed by a Zealot. The zealots want to rid the Holy Land of the occupying Roman army and its iron-fisted rule over them. So Pilate instigates a witch hunt. His plan was to crucify 10 Jewish citizens a day until the real culprit(s) are handed over to him. There is no justice in this, and so Caiaphas wants it to stop before Pilate allows an even larger city-wide revolt to occur. Meanwhile Peter and John are awaiting trial by the Jewish council (the Sanhedrin) for their preaching that Jesus is the long-awaited Messiah (or rescuer) of the Jewish people. The Sanhedrin called Jesus a heretic for thinking he was equal to God himself. Peter recently had healed a lame man who could not walk from birth. Although I don’t remember if this is actually in the Bible, Caiaphas’ wife tries to bribe the blind man into testifying against Peter and John. She says that Jesus followers want to bring down the Temple (but it was something Jesus had not directly said. Jesus said “Tear down this temple and I will raise it in three days”, as He was referring to his resurrection). At the trial, Caiaphas calls Peter a liar pretending that he had healed the man under the authority of God, but the once lame man shows up to testify. He says he was lame from birth, that no one paid him to pretend he was lame, and that now he is healed. The lame man had spent years at the Temple, so many of the people there knew that he was lame and likely telling the truth. The people want Peter and John set free (for justice, but also because they want to experience more healings, I would suppose). This makes Caiaphas extremely angry. He has been shown to be weak compared to Jesus’ followers. Caiaphas is also weak to the Romans. He tries to humble himself to obtain God’s mercy by wearing sackcloth and pouring burned up ashes onto his head and body. He hopes that his piety will convince the Romans, but Pilate only mocks him by making him eat the ashes of the cremated Roman soldier who was killed (I don’t remember this in the Bible either). Peter returns to the upper room where the disciples are gathering and is shocked to see hundreds of people there. They had witnessed the disciples miracles of healings and speaking other languages. Peter’s resolve is strengthened by this. Instead of keeping quiet as Caiaphas had asked, Peter believes it is God’s will to spread the message while knowing it may cost him his life. The show represents this strengthening by showing the Holy Spirit as a wind that rushes in to help the disciples when they need it. John has a dream that leads him to a place where he meets Barnabas (a wealthy believer in Jesus). Barnabas promises the disciples some land to set up a new community of believers where common goods are shared to care for the poor. This of course attracts a lot of people, because Rome has placed a huge tax on the citizens in order to support Rome’s building projects. This makes the citizens both poor and resentful of the Roman system. It also attracts followers who want to help. Unfortunately two of the followers are not sure Peter’s mission will truly succeed, so they hedge their bets and keep some of their money hidden. I don’t think this would have been a problem but they lied and said they were giving it all to ministry. In a vision Peter is informed by the Spirit of what happened. Both of the two followers die of internal hemorrhage and are quickly buried. And Boaz meets Peter and wants to join the camp but Peter says he must repent first. Boaz refuses saying that being a citizen of Judea is enough. Finally we meet Stephen who is a new convert and very strong when it comes to seeing justice done. He tries to stop the Romans from arresting the citizens for crucifixion. He is knocked down and beaten by them. Next week I fear something even worse will happen to him. And we have the wives working together to find the culprit, Boaz who killed Pilate’s guard. Next week we can expect to see the stoning of Stephen who is the first martyr for Jesus recorded in the Bible.